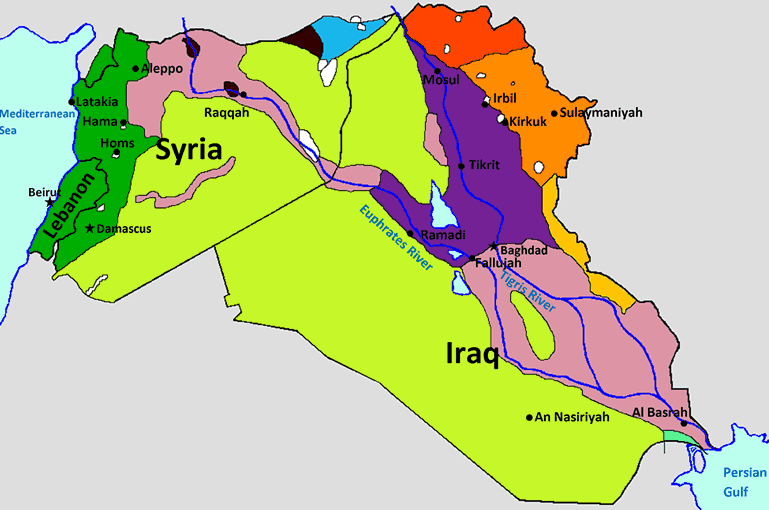 The languages spoken in Syria, Iraq and Lebanon can be divided into four groups: Arabic, Kurdish, Aramaic and Turkmen. These are not single languages, but groups of languages, with several distinct languages belonging to each group. The following map shows the Arabic and Kurdish languages spoken in Syria, Iraq and Lebanon.